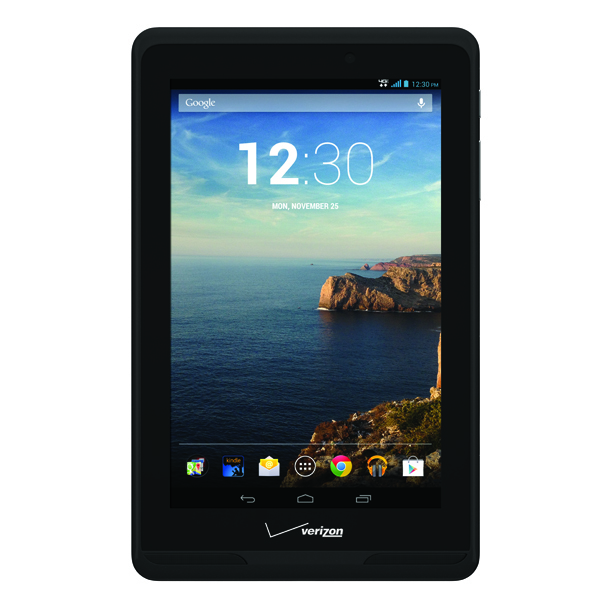 Verizon announced its plans to launch the Ellipsis 7 tablet onto its 4G LTE network this morning, starting November 7 at just $249.99. The tablet features a 7″ HD display, front-facing camera and 4G LTE, but all other specs are unknown at this time. There is no official word on the processor, display resolution, storage or anything else that might be important to potential customers as of right now. What we do see from press images is that the device appears to be running nearly-stock Android, but you can expect Verizon to have baked in its entire suite of applications, such as NFL Mobile, Navigator (does that still exist? ), and all of the other fan favorites. Again, it launches November 7 for $249.99. Update: We’ve received the full specs for the Ellipsis, which certainly aren’t terrible, though a Nexus 7 is still going to be the better choice. You are looking at a 1.2GHz quad-core processor, 1GB RAM, dual front-facing speakers, VGA from camera, 3.2MP rear camera, 8GB internal storage, microSD card slot, and Android 4.2.2.